Help Detox your body to gain more Energy, Less Pain and Better Sleep! 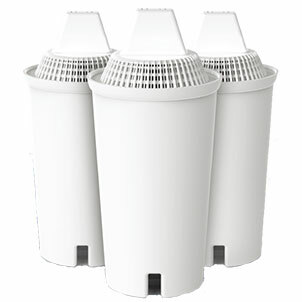 The 3 in 1 FIT Premium Detox System is the World’s #1 choice when it comes to detox foot baths. You receive 3 powerful therapies in 1 system and enough product included to do a minimum of 140 sessions! We don’t just sell you a way to detox, we give you a whole course on how to Detox and Alkalize your body. Enjoy FREE shipping in Ontario, Canada and North America! These easy to use therapies help detox the body, increase blood circulation and alleviate pain. All 3 modalities can be used together or use separately! 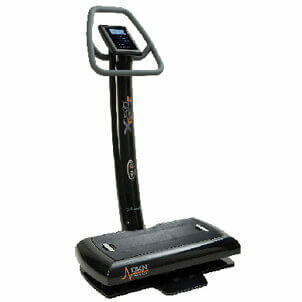 The 3 in 1 FIT Foot Detox Machine helps detox the body through the use of ionization. Just like when standing under a waterfall or walking on the beach, ions have a powerful charge that help the body cleanse more effectively with no side effects. It’s natural, it’s safe and it works great! Includes 3 powerful therapies in 1 system (Far Infrared Heat, Ion Detoxification & TENS) making this system 3 times stronger then any other Ionic Detox Foot Bath on the market today! It also comes with the Best and Only Industry 6 YEAR WARRANTY. How Can the 3 in 1 FIT Ionic Foot Detox Machine Help You? Far Infrared Heat is not like your regular heating pad or hot water bottle. The Far Infrared Heat can penetrate up to 2″ into the skin and muscles helping to improve blood circulation by increasing blood flow, oxygenation and regeneration. The combination of heat and light therapy helps to increase the supply of oxygen and nutrients to the soft tissue areas and blood cells. This is ideal for treating back pain, arthritis, headaches and similar health problems. 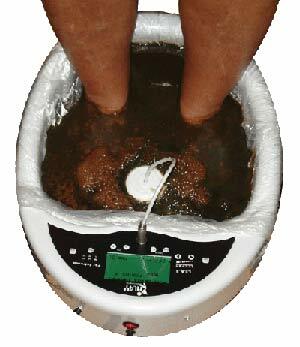 Ionic Detoxification also known as a foot bath detox helps to remove harmful toxins and cellular waste from your body. 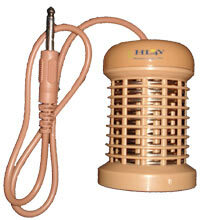 Safe and complete body detoxification through the healing power of ionization. Just like when standing under a water fall or walking on the beach, ions have a powerful charge that help the body cleanse more effectively with no side effects. When a body is properly detoxed it’s amazing how great that person feels! Detoxing the body can help with weight loss. When the body rids itself of toxic chemicals the body tends to speed up metabolism and returns to proper digestion. 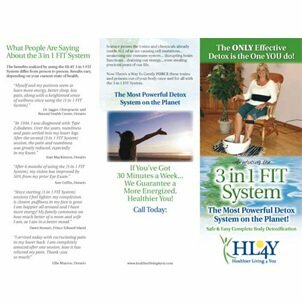 Client Testimonials Read our client testimonials on howThe 3 in 1 FIT Premium Detox Foot Bath System has been a solution to low energy levels, insomnia, fatigue, arthritis, joint and muscle pain, and many other problems. The foot detox bath is so relaxing and can be done in the comfort of your own home! Don’t be fooled by knock off arrays! 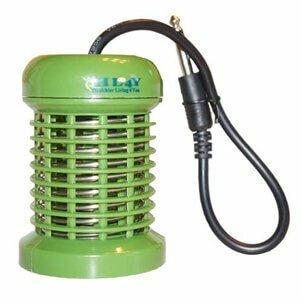 To order your new 3 in 1 FIT Ionic Foot Detox System call us toll free 866-745-5743 or click the Add To Cart button at the top of the page. Learn how to clean up your array after your detox in this short video! This research proved that we needed more than just the Ion Detoxification or Ion Cleansing modality. By adding the Far Infrared Heat we are now able to help increase blood circulation to the main organs, therefore getting more ionization happening in the body and achieving a deeper cleanse. The Far Infrared Heat also helps relax the person, allowing the body to be at the utmost relaxed state while detoxing. The TENS was added to help alleviate the aches and pain of our clients. Everyone holds stress and the TENS is an amazing way to help alleviate tense, sore muscles and ligaments. By using all 3 modalities at once or using them all separately allows you to have a much more versatile machine helping with many more health issues in the body. Anybody that uses our new 3 in 1 FIT Premium Detox System versus our old system with just the Ion Detoxification modality understands and sees the huge benefits of all 3 modalities in one system. 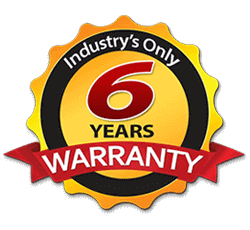 We also included the Best and Only 6 year warranty in the industry as we wanted to make sure our clients had confidence that they are receiving the highest quality system available. We are not just the manufacturers of our 3 in 1 FIT System, we are our own clients. 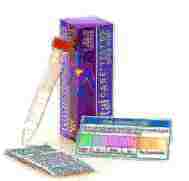 We use this very technology regularly with all our friends and family to keep them in great health. We entered this health business not by choice, but by experiencing many health issues in our family as well. After many years of health issues, trial and errors we were able to find something that worked for almost anyone. That something is detoxing and alkalizing the body regularly. 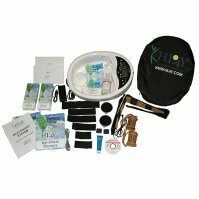 With your investment you not only receive the 3 in 1 FIT Detox System, but other products and information which also help alkaline the body is included. If you have not read our story, you can read a short version of how we got into this business by clicking here. We are extremely knowledgeable in detoxing and alkalizing the body and have helped thousands of people achieve alkalinity. That’s why we are here to answer all your questions and is also the reason why we created a whole online course on detoxing and alkalizing the body free of charge to anyone of our 3 in 1 FIT Premium Detox customers. Allowing you to go deeper into understanding the system and detoxing and alkalizing the body. 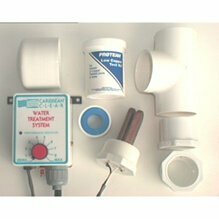 Lastly, we provide you with more product to start with than any other system out there! Everything is included that you need to start detoxing and alkalizing your body as soon as you receive your system! We’re here to serve you, our clients and to bring you the most up to date knowledge and products that will help you achieve better health through detoxing and alkalizing the body. We can’t wait to get you started! 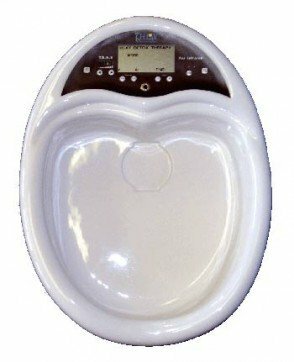 3 in 1 FIT Detox Foot Bath – Frequently Asked Questions. Disclaimer: The 3 in 1 FIT Premium – Ionic Detox Foot Bath is not intended to treat, cure, prevent or diagnose any disease or ailment. 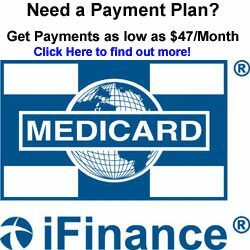 None of the information provided on this website is intended to act as a substitute for medical counseling. I am a firm believer of regular foot baths to detox my body. This product is phenomenal! It is hard to believe that so much dirt can come out of your body after one session. I know when it is time for a detox when my body starts to hurt. This product by Healthier Living 4 You is the best on the market. I have used other foot baths before but they did not even come close. I wholeheartedly recommend this product. I also convinced my sister to buy one ans she loves it too! Unbelievable. 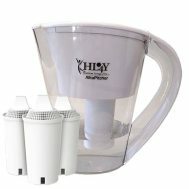 I’ve worked with the old Ion Cleanse before and purchased from John and Craig over the years and they finally convinced me to upgrade to the 3 in 1. I’m impressed with the Infrared and the TENS and what I’m seeing with clients, how it’s so much mor beneficial having all three working on the person at once! People are really seeing the difference on the TENS on their muscles. And I see the Infrared helping pull out more toxins than just simply the Footbath alone! Thanks for convincing me to get this! This is the second machine I have purchased for my clinic and the new model is very user friendly and reliable. Best thing I ever did thanks John & Craig!!!!! 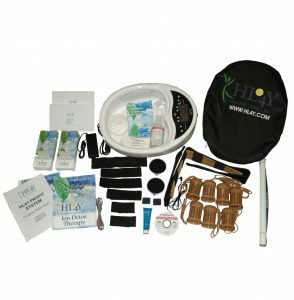 I bought my first 3-in-1 Detox Foot Bath about 6 years ago & I am very happy with the quality, accuracy & effectiveness of HL4Y’s system, support & products. Myself, my family (kids included) & clients enjoy the results of the cleanse. 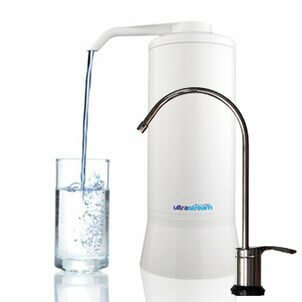 Many of my clients find that the colors & changes that appear in the water are quite accurate to their body’s conditions, lifestyle and/or habits. It’s quite common for my frequent clients to combine a detox series with a change in diet (more alkaline), change in lifestyle (increased exercise) as well as a change in habits (smoking, drinking, etc) resulting in a better quality of life. Craig and John are great to work with & sincerely care about our success & health, thank you for your support.